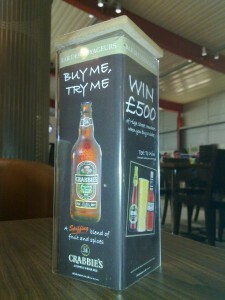 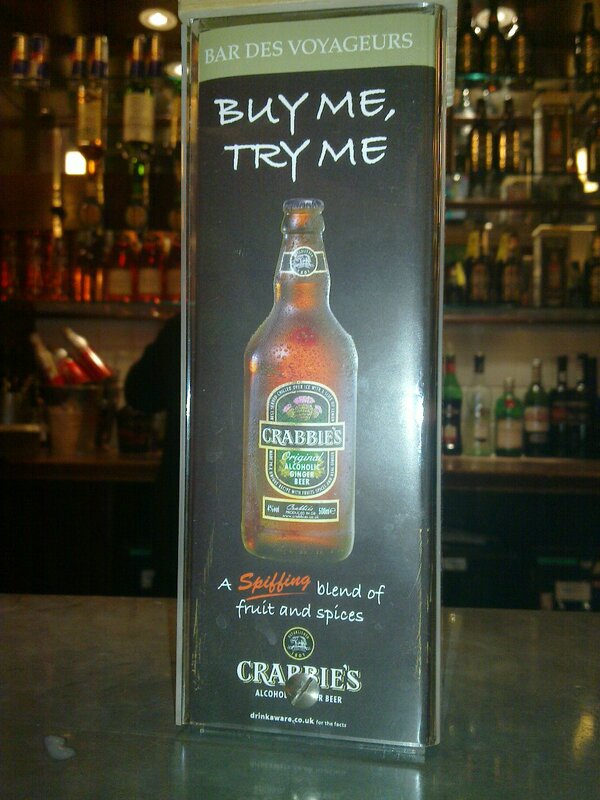 Found today in Bar Des Voyageurs, Crabbie's ad goes as: "BUY ME, TRY ME - A Spiffing blend of fruit and sprices". Looks good, sounds good, tastes good too. 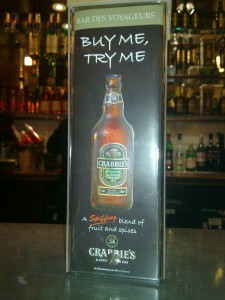 They only need a better URL for their web site, because crabbiesgingerbeer.co.uk looks, sounds and tastes so boring.